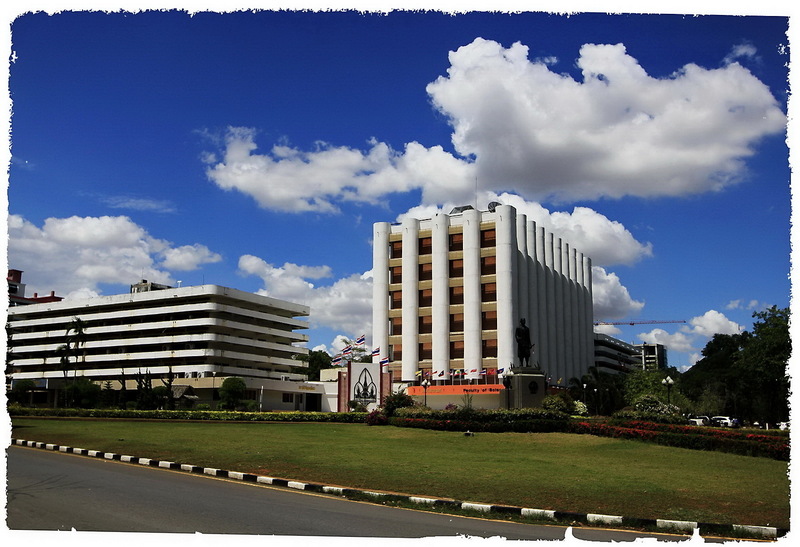 Khon Kaen University (KKU) is the first regional university in northeastern Thailand, Faculty of Science was one of the first three faculties established in KKU in 1965. It was named Faculty of Science and Arts and founded to offer basic requirement courses to all students at KKU. The faculty started offering a Bachelor program in Science (B.sc.) in 1973. In 1978, the faculty was renamed “Faculty of Science” when Department of English and Library Science were transferred to Faculty of Humanities and Social Science. At present, the faculty assists of nine departments: Biology, Chemistry, Mathematics, Physics, Statistics, Microbiology, Computer Science, Biochemistry, and Environmental Science. In 2011, the faculty has 243 academic staff members, encompassing 188 members with doctoral degree, 53 with master degrees, and 2 with bachelor degrees. Direct Tel/ Fax: (043) 202372.